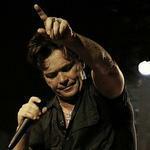 02/25/2019 - Born in Seymour, Indiana, John Mellencamp formed his first band, Crepe Soul, at age 14 and later played in the local bands Trash, Snakepit Banana Barn and the Mason Brothers. 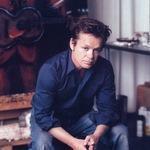 Mellencamp came to New York City in the mid-1970s with the intention of studying painting if his music-career aspirations did not manifest. 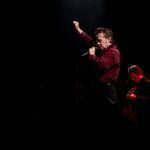 02/22/2019 - One cue that this wouldn’t be the typical concert was its billing as “The John Mellencamp Show” and the note that it would start promptly at 8 p.m. The lights at the Providence Performing Arts Center dimmed at exactly that hour Friday night for a 15-minute biographical film about the 67-year-old Rock and Roll Hall of Famer featuring clips of interviews, American Bandstand and MTV appearances and his disembodied voice talking about an industry that made him change his name, tried to direct his music and contributed to his heart attack at the age of 42. 01/10/2019 - Watch the full 30 minute interview with John and NBC's Harry Smith on the Today Show. Taped at John's New York City apartment the week after his 24th album, “Other People’s Stuff,” was released to discuss his paintings, his music industry beginnings, the upcoming tour and more. 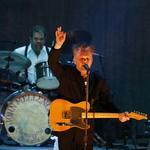 01/08/2019 - “Other People’s Stuff” is the latest effort from John Mellencamp and aptly describes the collection of reworked arrangements previously released during the talented singer-songwriter’s Rock and Roll Hall of Fame career. 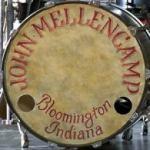 12/20/2018 - John Mellencamp lands a No. 1 album on Billboard’s Top Rock Albums chart for the first time in his career, as his new album, Other People’s Stuff, rules the ranking dated Dec. 22. The set debuts atop the tally with 44,000 equivalent album units earned in the week ending Dec. 13, according to Nielsen Music. 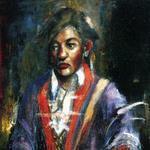 Nearly all of its sum came via traditional album sales. 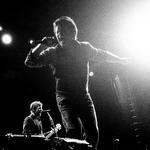 Mellencamp had previously snagged five top fives on Top Rock Albums, which began in 2006 (many years after Mellencamp first reached the all-genre Billboard 200 chart back in 1979). Before Stuff, with three -- 2007’s Freedom Road, 2008’s Life Death Love and Freedom and most recently, 2017’s Sad Clowns & Hillbillies reaching No. 3. 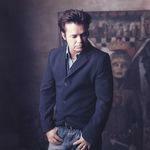 The album also represents Mellencamp’s 11th top 10 on the Billboard 200, his first since 2010’s Nothing Better Than This and best-charting album since Freedom 10 years prior. 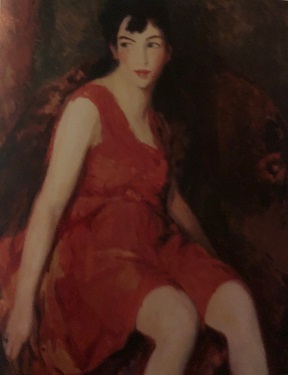 12/18/2018 - What is clear about the art of John Mellencamp is that his work extends the rich tradition of American expressionistic art that harks back to the painterly canvases of Robert Henri (1865-1929) and the so called Early Modernists that flourished in the early part of the 20th century. The Butler's "The Little Dancer' from 1916 reveals the rich and highly textured handling of paint that has its roots in Vincent Van Gogh's impasto surfaces often achieved with fingers and palette knives. "I Saw Mommy Kissing Santa Claus" - Merry Christmas And Happy New Year Everyone! 12/17/2018 - "I Saw Mommy Kissing Santa Claus" from the A Very Special Christmas benefit album. 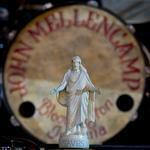 The video was filmed at soundcheck during the 1987 Lonesome Jubilee tour. 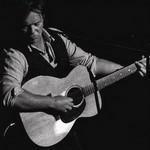 12/13/2018 - John Mellencamp, who recently released his 24th album, “Other People’s Stuff,” sits down with NBC’s Harry Smith at his New York City apartment to discuss his legendary career in music, his art and how he’s found love again. 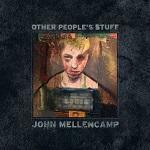 12/09/2018 - On December 7, Rock and Roll Hall of Famer John Mellencamp released his latest studio offering, "Other People's Stuff," via Republic Records.